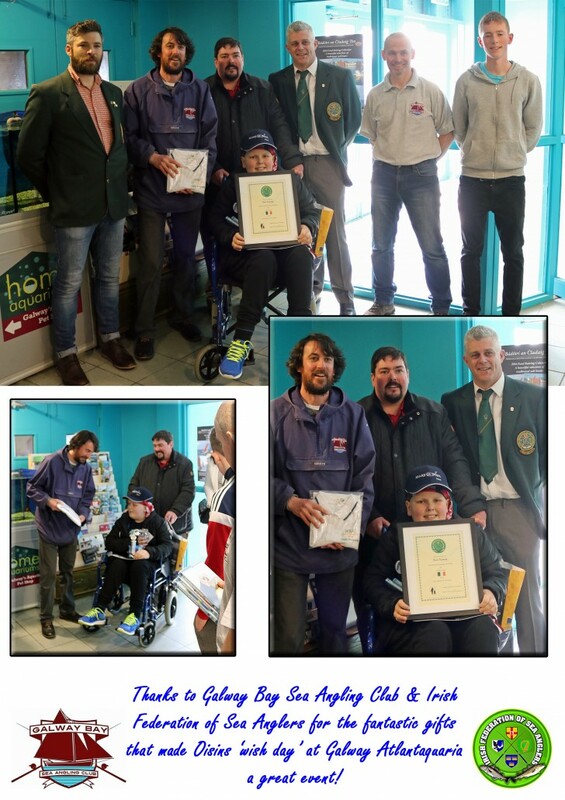 Galway Bay Sea Angling Club and the Irish Federation of Sea Anglers were delighted to present an honorary membership of Team Ireland, to Oisín Kennedy. Oisín an avid angler from Mayo, had just made his way, first via helicopter, then limousine from Westport to Galway Atlantaquaria. Looking at all the different species of fish and talking about baits, Oisín knew his stuff and could wear his team Ireland polo shirt with pride. His family, friends, classmates along with Make-A-Wish Ireland team could see his wish had come through with the huge smile on his face.